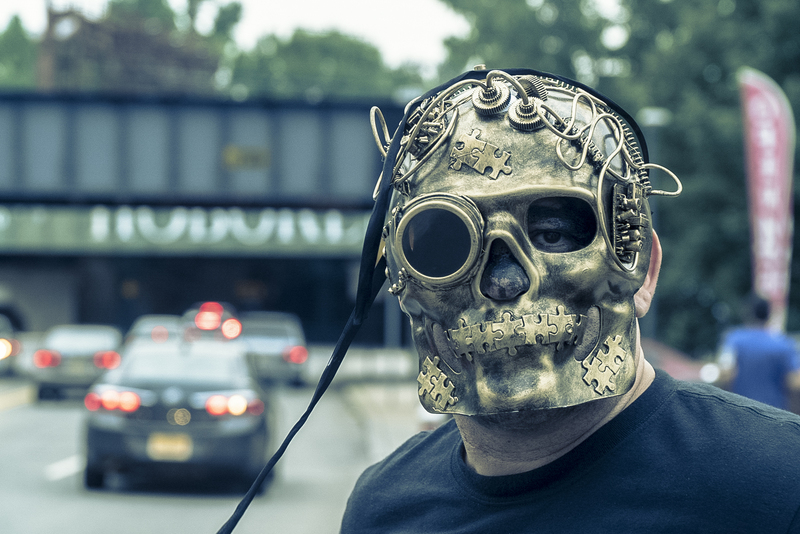 New Jersey EDM duo, VIRGIN SKULLS is set to take the US over with their fresh east coast sound. With that New York beat on lock down and the rest of the world ready to experience their unique LIVE show, they’re HERE TO ROCK YOUR WORLD with their latest single of the same name. Read on to learn more about their beginnings and when they plan to party near you. Virgin Skulls is Fresh. What’s the motivation for the music? Cheers! Well, music has been life for us both in one way or another for years now, and when Skull & Headphones dived more into the modular & video synth world, the transmissions from Electron just kept getting stronger until Virgin Skulls was born. East coast goodness. Where are you located in Jerz? West New York, Hoboken and Jersey City. Here to rock your world is a great beat. You are currently working on a video for this track? We decided together that our best track was IN THE MUSIC and currently we’re trying to finish that one so it will be ready before our album release on Nov 1st. Then we can start thinking about doing one for HERE TO ROCK YOUR WORLD. How did you guys meet up and when did you decide to start making dope sounds? We were introduced by dance music legend Michael Moog during a dance party event I (Tiro) was promoting for my company Insane Produzionz alongside music industry maven Lawson Higgins. Quickly, we forged a bond via our music tastes. At the time of our meeting, Marco was already an accomplished musician with a storied career, and I was an enthusiastic music fan. I began to accrue studio equipment and instruments via a project that never materialized. In the summer of 2013, I collected them in a studio in Hoboken, NJ, and began experimenting like a mad scientist. Eventually, My sudio and Modular Synth chops evolved to a level compatible with Marco’s artistry. Having a mutual respect in place, complimentary musical tastes and artistic ethics, we began to collaborate organically. Who do you see as the pioneers of Electronic Music & do you see yourselves as new ground breakers? That depends on how deep you wanna go. I guess top of our list would be Nikola Tesla, Robert Moog, & Giorgio Moroder, to name a few. We believe we are breaking some new ground here, while paying proper respect to the artist that have inspired us along the way. You’re gonna hear elements of the different music that have touched us throughout our journeys but you will also recognize that you are getting something innovative at the same time. Virgin Skulls has been an entity for less than a year and already we feel we have a signature sound. Our next step will be putting together a (Tiro-produced) live show that combines stunning visuals done with my Video Synth, and a wall of TV’s and banging music with Marco’s silken vocals front and center. One of my sponsors Laz Pina (from the band ILL NiÑO) owner of SoundWars Studios and The CycloRama is doing an event In Hoboken’s new SouthWest Park on July 31st. We’re performing the closing set for this event, and our set time will be at 7:45 pm. I have another event plan with our other sponsor 3D cafe in West New York, NJ. The owner Justin Perez got behind us early and is instrumental in bringing culture to one of my hometowns. We’re still trying to work out a date for sometime in October. Will you be touring the entire US in the fall? In the fall Virgin Skulls will concentrate on the North Eastern states of NY, Nj, VT, Mass, CT, ME.